Wing Pole is local amateur contest. This is a contest for local amateurs. Members or former members of any professional eating organizations are not eligible (e.g., IFOCE/MLE and AICE). Cheerleaders and Club Risque (the “Clubs”) will each be holding a weigh-in for Final Approved Contestants on Thursday, January 24th at 8 PM to announce (i) the names of all Final Approved Contestants that will be competing for the title of Wing Pole Champion; (ii) that prizes in the amount of $2,000 for 1st place; $500 for 2nd place and $300 for 3rd place will be awarded to the eventual winner at each Club; and (iii) to introduce the 2019 Wingettes. All Final Approved Contestants must attend this event. If a Final Approved Contestant does not attend the event they will be disqualified. During Wing Pole, which will be held at (1) Cheerleaders Gentleman`s Club, 2740 S Front St, Philadelphia, PA 19148 and at (2) Club Risque 1700 S Christopher Columbus Blvd, Philadelphia, PA 19148, on February 1, 2019 starting at 7:00 AM, there will be one (1) ten (10) minute period, with a short break after the round, followed by a final five (5) minute period and tie-breaking rounds, as necessary, during which Contestants will compete to eat as many chicken wings as possible. Contestants will be assigned one (1) or more Wingettes who will be responsible for bringing the wings to each Contestant. The Clubs are not responsible for miscalculations or inaccurate counts of wings provided. Prior to the start of the Wing Pole competition, Contestants will witness a demonstration of the minimum amount of meat that must be eaten on a wing in order for it to be counted in the final tally. Contestants who do not meet the minimum requirement will be given one warning, after which they will be penalized one (1) penalty point for each wing that is not properly and fully eaten. The Wing Pole Commissioner (an individual to be named by each Club in its sole discretion) will determine in his sole discretion the number of penalty points assessed. The Wing Pole competition will consist of one (1) ten (10) minute period, with a short break after the round, followed by a final five (5) minute period and two (2) two (2) minute tie-breaking rounds, as necessary. Contestants may not leave the immediate area during the break; however they may stand up, stretch, have a drink of water, and wipe their hands and faces. In the event of a tie after the final five (5) minute period, a two (2) minute eat-off period will be held between all tied Finalists. Two (2) minute eat-offs periods will continue until one (1) Contestant is declared the Wing Pole Champion. There will be twenty (20) wings on each plate. Wingettes will signal for a new plate when there are five (5) wings left on a Contestant's plate and a new plate of wings will be brought immediately. Upon completion of the first ten (10) minute period, the three (3) Contestants who ate the most wings during the first ten (10) minute period will qualify for the final five (5) minute period. All Contestants other than Finalists will be asked to leave the Wing Pole competition area and report to the “floor” area in front of the stage. If there is a tie in the ten (10) minute period, then all of the tied Contestants will qualify for the final five (5) minute period. The amount of wings eaten during the ten (10) minute period will count towards the final total of wings eaten. Napkins in any form are not allowed during the competition. 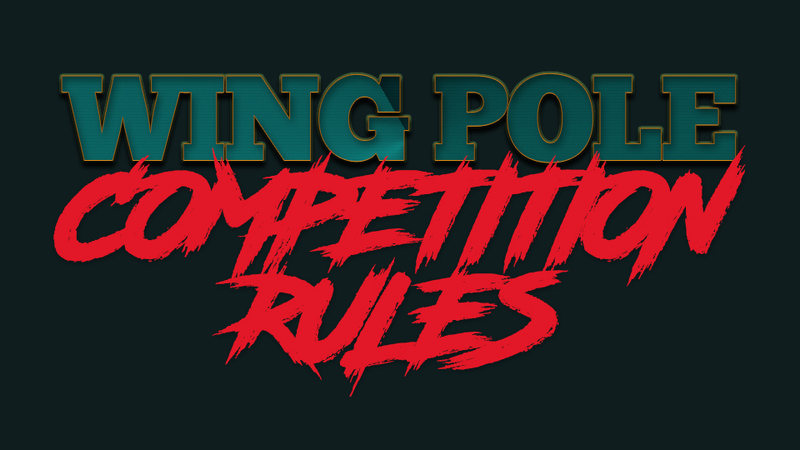 If a Contestant leaves the wing-eating area for any reason during the Wing Pole competition, or eats any wings between periods, he or she will be disqualified from further competition. Contestants may not make physical contact with other Contestants at any time; any Contestant who deliberately makes contact with another Contestant will be disqualified at the sole discretion of the Club. At the end of the final five (5) minute period, (or the two (2) minute tie-breaking rounds, as applicable) the Finalist who has eaten the most chicken wings in all rounds will be declared the Wing Pole champion (i.e. the winning Contestant will be the Contestant who has successfully consumed the most chicken wings during the entire competition). Three (3) Prizes will be awarded by each club as follows: First Place: $2,000; Second Place: $500; and Third Place: $300. All decisions and disputes will be decided by the Wing Pole commissioner at each Club in his sole discretion. All decisions of the Wing Pole commissioner are final.